Responsive search ads are Google’s most pliable, latest update. Responsive search ads are the type of ads that allows you to add more text in your ad. Unlike text ad in this ad type, you can add 15 different headlines and 4 divergent descriptions. Descriptions and headlines together form up to 43 thousand different combinations. 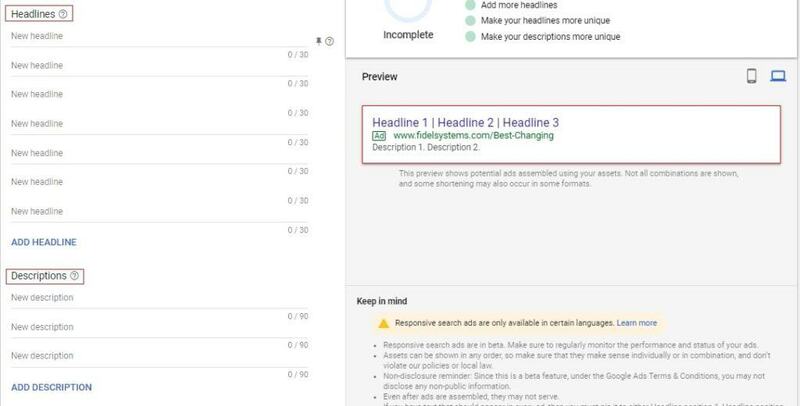 Google ads test different combinations which they combine with given headlines and give the best possible results. 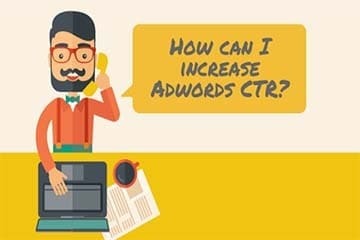 If you’ve added relevant keywords in your text, then it is more likely that your potential customer will find your product through their search query which is more likely to improve your campaign’s performance. 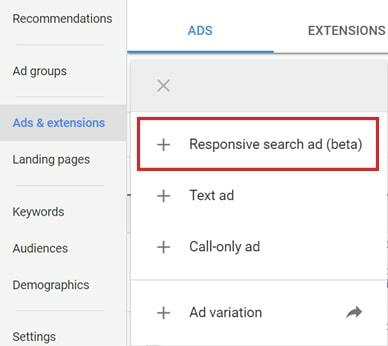 Responsive search ads are available in beta and may not be available for all AdWords advertisers. Once it goes live for everyone you can create responsive search ads by clicking on blue “+” icon under “ads & extensions”. We all know that Google likes testing new ad forms and keeps updating their existing versions. Here are two similar forms of ads one was introduced in 2016 and another one was recently introduced in the year 2018. 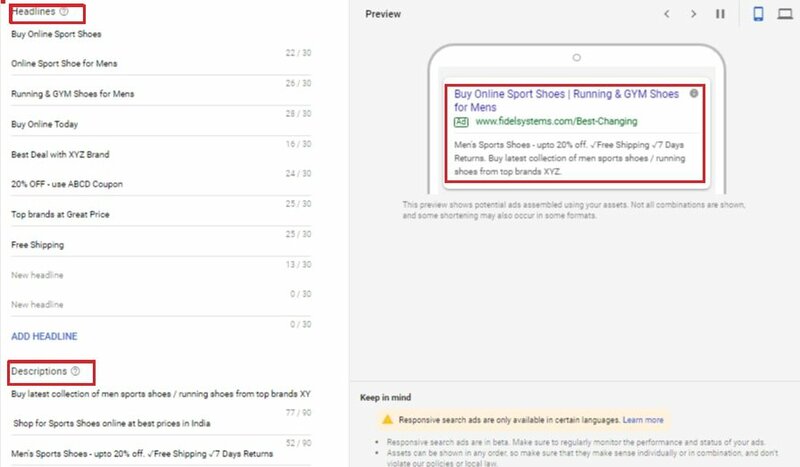 Responsive search ads lets you add 15 headline and 4 descriptions from which 3 headlines and 2 descriptions are shown in the actual ad. So using this opportunity to the fullest will help you reach your audience. Do not add similar, repetitive headlines and descriptions. 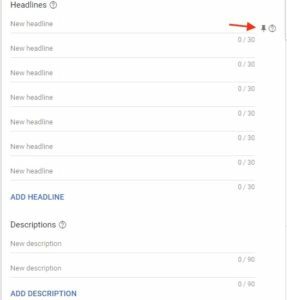 Add unique messages in each and every headline & description. When you want to highlight any specific headline with every ad then make sure you add on pin to that important headline or description. This pinned headline will remain constant and will be shown with every advertisement plus with this, other 2 headlines will also be shown depending on the search query. This pinned headline will appear in the headline like a priority, preventing other headlines from showing in its place. It is suggested that you pin 2 to 3 headlines and descriptions so that it will keep changing according to the search query entered by a person looking for that particular product/service on Google. This will help you in A/B testing the performance of these pinned headlines and descriptions, which will help your brand improve its CTR. Google is tirelessly coming up with new updates and we like the way it experiments with its modules for running ads.